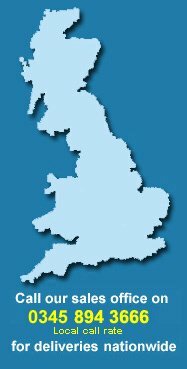 Everyday Self Build Supplies send sawn timber, planed timber , sheet timber and flooring panels to customers throughout mainland UK. 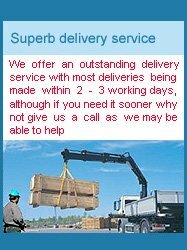 We are one of very few online timber suppliers who have the ability to serve the majority of the country with a large range of standard and non standard size timber materials. 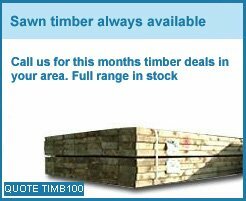 We supply C16 and C24 graded, treated and non treated timber , in various lengths along with treated roofing battens in bot 25x38 and 19x38 sections. Selfbuild Supplies sheet timber portfolio consists of Far eastern WBP and exterior shuttering grade plywood , Chipboard in standard 2400x1200 form and also moisture resistant flooring in 2400x600x18mm and 22mm thick. MDF sheet in various thicknesses from 6mm to 25mm, these along with blockboard , OSB2 and OSB3 and standard hardboard make up an extensive range of sheet timber materials that can give you huge savings that are only a phone call away.